Registration for Summer Camps 2019 is now open! Make this the best summer EVER for your kids! Register now for summer 2019 camps at LSA! We have over 30 activities for ages 3 to 18 for all families in the greater Houston area. Offering programs by Kidventure Camp, Coder Kids, Bocal Majority, Camp Invention, CG Victory and more! 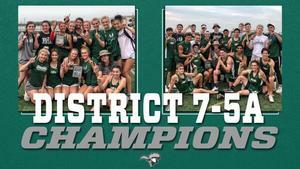 Boys & Girls Track Teams Win District!! Congratulations to both our boys and girls track teams who won their district meet yesterday!! TAPPS 5A Girls Doubles State Champions!!! Congratulations Karissa and Paris on winning the TAPPS 5A Girls Doubles State Champions! TAPPS 5A Men’s Doubles State Runner Up! Congratulations on a great season Alan and Tiger!! Boys Basketball Finish as State Runner-up! 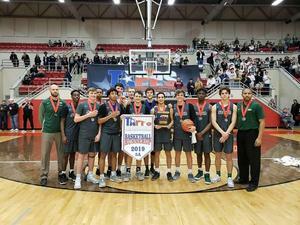 Congratulations to our boys basketball team who finished as the State Runner-up! Boys Basketball Team Make the State CHAMPIONSHIP!!! Boys basketball advances to the State Championship game!! Musical Tickets Available for Purchase! Track and Field Project Contract Signed! Congrats to our State Swim Medalists! 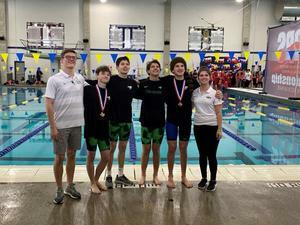 Two of our swimmer placed third in the 500 free and 100 back at the TAPPS State Swim Meet!